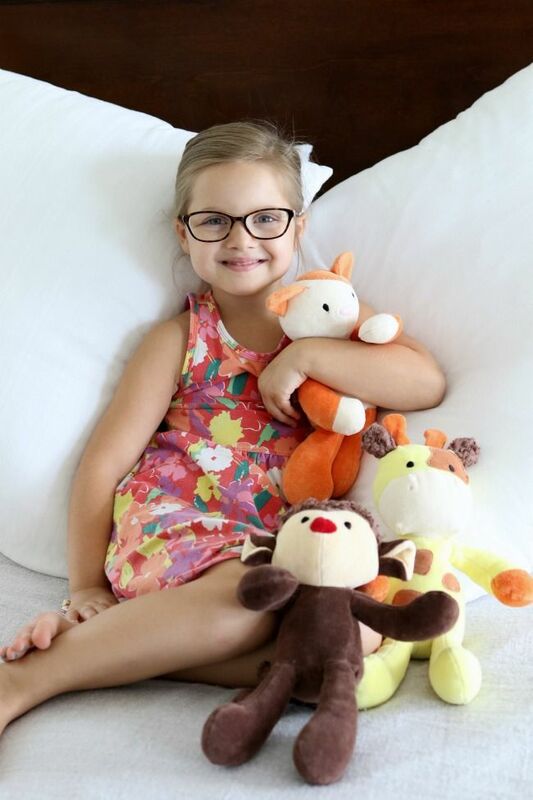 Bears for Humanity and I have teamed up to tell you about their great products that are not only cute, they are also on a very important mission. This company is helping our community, while also helping the Earth. "From farm to fulfillment, our products are made using only certified organic materials and Fair Trade practices, while employing at-risk women from welfare-to work programs right here in the US." These are important factors that we don't generally take into consideration while stuffed animal shopping. Well, at least I haven't in the past. However, after seeing my kids reactions to these and reading more about Bears for Humanity, I feel like we should be looking into these factors before we do most of our shopping! These are more then just stuffed animals you guys. They are GOTS Certified Organic Cotton, are built in the US through Welfare-to-Work programs (as I stated above), and have a wonderful buy one, give one policy! 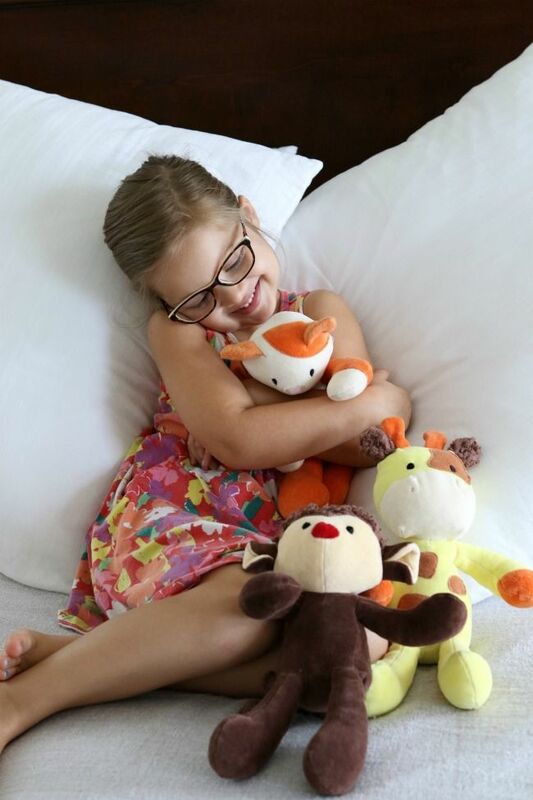 With every purchase you make, they donate a bear to a child in need. You can even write out the note that will be included on their gift card. How sweet is that? I love the idea of spreading the love and also sending it along with a little note with it. 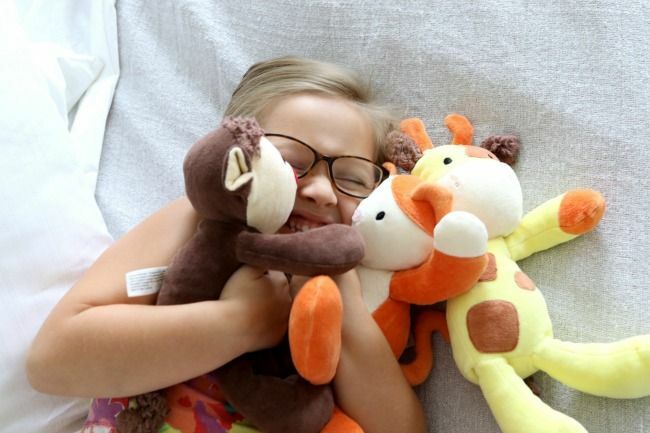 My family was gifted the monkey, cat, and giraffe, and both my kids were so excited to get their hands on them. These animals are for ages 0+, but I have to say, my five and eight year old kids were pumped to have them! The quality of these animals are amazing. Not only are they super soft and fluffy (as in the softest you can imagine), they are also done with beautiful craftsmanship. Every stitch, every arm or leg, all just wonderfully made. I mean, even the tag is soft and nice to hug. My kids generally want all tags cut, but not this time. My daughter actually pointed out to me how soft the tag was and how she had to keep it on. That is a huge stamp of approval in my house. My son is also a tough one when it comes to stuffed animals. He has quite a few sensory issues and he was immediately drawn to the monkey and his "soft ears and fuzzy tail". He looked up at me and said "Can I sleep with this one? I think Lamby will love him." For those of you who are new to reading my blog, Lamby is a stuffed animal that has been in our family for eight years. Over the years he shows up on the blog and my snapchat (@stilettosanddb), so for him to want another doll in his bed with Lamby, this is a big deal! Now is your chance to do some shopping and spread the love as you do. Use code FREESHIPPING4MOM to receive free shipping on all order now through the end of August! 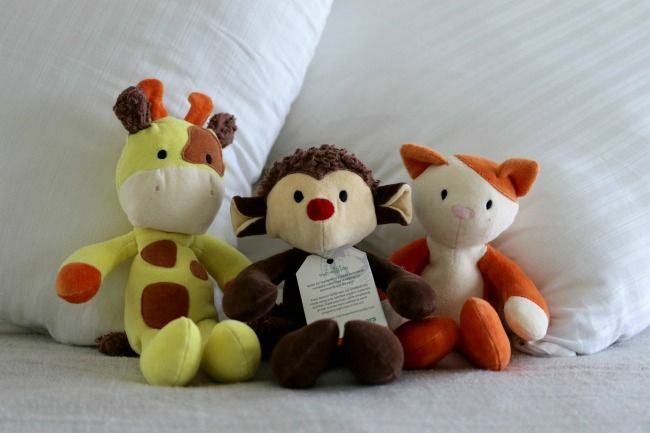 These dolls make great baby shower gifts, Christmas stocking stuffers, or even a gift for your little one just because you want to see them smily while you support a great company. *Although I was compensated for writing this post, the thoughts shared above are my own.